SpaceEngineer, why is the color of the clouds on desert worlds tied to the colorDesert parameter? And is there any way to independently set the color for the clouds, or will there be in a future version? Because deserts assumed to have a dust clouds, like Mars. And clouds color cannot be set in the script, sorry. I had guessed that was the reason. Thanks for the info. Thats one reason why I started working on a Mars cloud setup. But the only issue is as you mentioned, the color. The download button for what? It's not really an obstacle for planets that don't have procedural surfaces, as you can specify whatever color you like for the clouds without affecting the surface (add colorDesert (0.700, 0.700, 0.700, 0.000) in the Surface tag, for example). 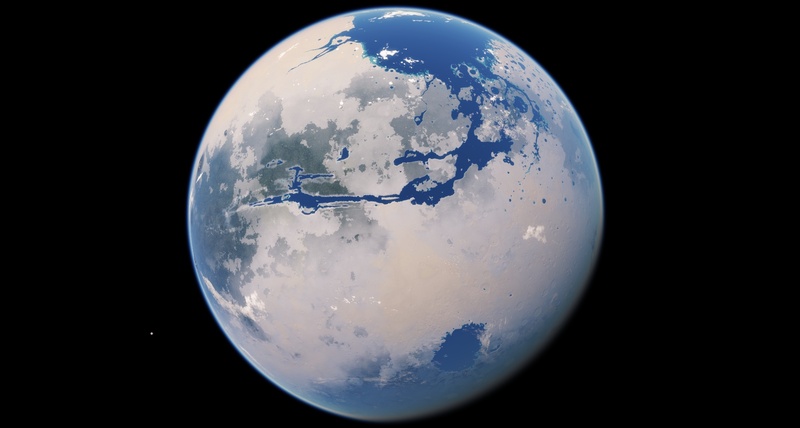 The way to get around it on procedural worlds is to make the world a Terra instead of a Desert, and then to make an Ocean height of 0.1 or some such number so that you never really see any water (if you do find a deep enough hole you can always just Ctrl-C to disable it). 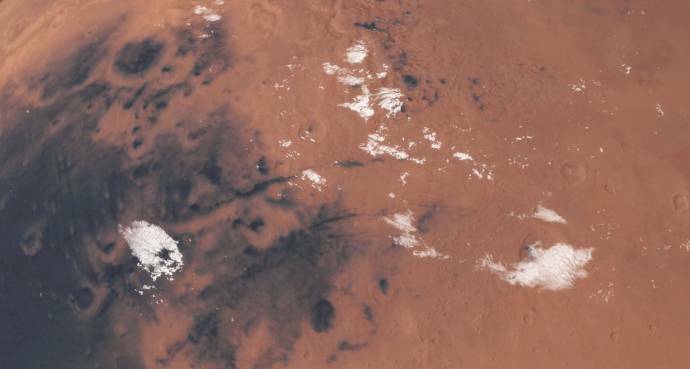 I like what you have so far for the Mars clouds! I didn't know that so thanks. That helps me in more ways than one, as I'm experimenting in editing and making planets. I'm not using procedural clouds though. I am using that Earth clouds as a bump only method and adjusting the coverage settings. I tried procedural but it didn't look good at all, even with low twist zones and low coverage. I wonder if you could help me out though with something I am trying to do to Mars. It may be because it should be listed as Terra but I'd like to keep it under the Desert flag and only have the life section centered around the equator with low clouds and lots of water. hmmm.... listing it as a Terra may be a necessary sacrifice (and by SE's classification scheme it most certainly would be anyway). Does the water appear as soon as you open the editor, or is there a parameter that you edit with the UI first? 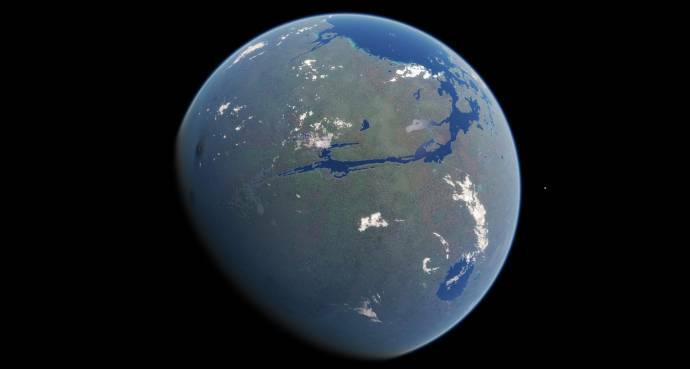 Also, changing it from desert to terra shouldn't affect the texturing, all else being equal (when I switched a desert world I was working on to being a terra, nothing changed save for the ocean). But I'm not sure in this case, and you're in a better position to know than I am. I'm not using procedural clouds though. I am using that Earth clouds as a bump only method and adjusting the coverage settings. But they are still using a procedural diffuse map, which is what I meant, so they are drawn in the heavy, thick way that procedural clouds are in SE. 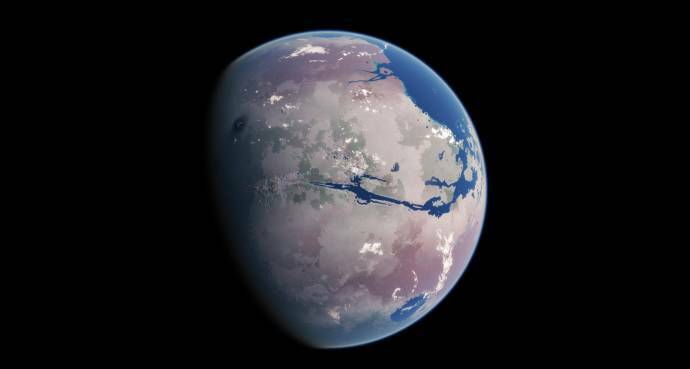 For a terraformed cloud set it is not a problem, but for a realistic Mars cloud map it will always look slightly awkward, which is why extra work would be needed to get it to look perfect (but how perfect it would be!). Does the water appear as soon as you open the editor, or is there a parameter that you edit with the UI first? The water is added in the config but only appears in one small area. When I open the editor the water only expands slightly and not to where I'd like it to be. It does actually depending on what parameters are edited. I am working off of the Earth like Mars edit and when I switch to Desert the plant life becomes darker green and the deserts are spread out more where I'd like them to be. 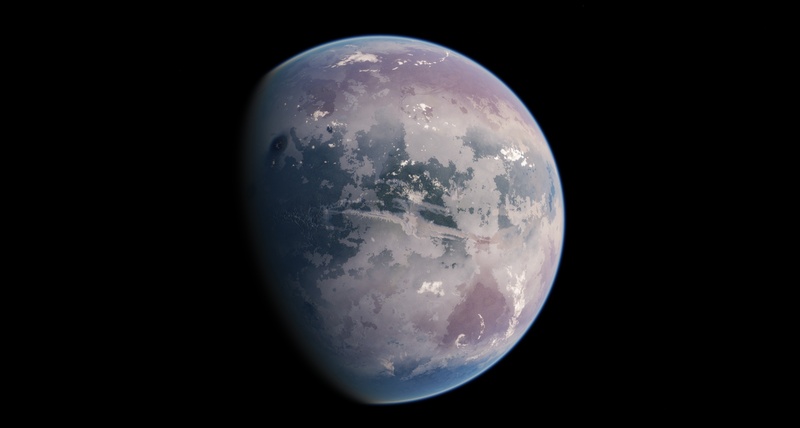 But they are still using a procedural diffuse map, which is what I meant, so they are drawn in the heavy, thick way that procedural clouds are in SE. Ah I see what you mean. Yeah I could look into that, in fact I think I will. I'll get back to you on it though. Mars is undeniably my favorite planet to work with so I'm doing multiple sets of things to it. 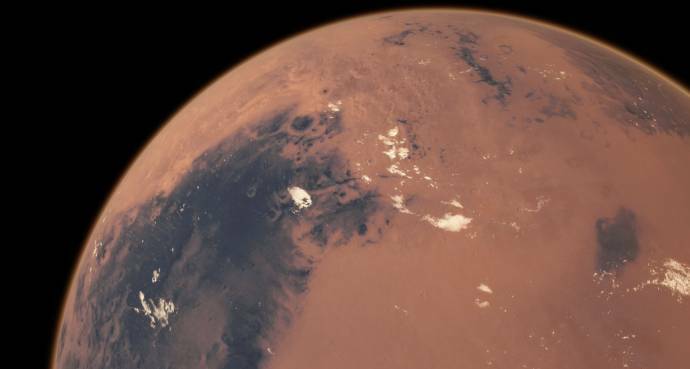 I have a lot of configs for Mars and one of them is realistic current Mars where I'm tweaking a bunch of things like the clouds. which is why extra work would be needed to get it to look perfect (but how perfect it would be!). That shouldn't be very hard at all really. Not a lot of extra work, all I'd have to do is adjust the color setting in game and then export it and tweak the hue and transparency in an editor. Do you export the script and use that in your catalog file? (Actually of course you did, man am I sleep deprived ) The problem is probably the discrepancy in sea level between the two worlds. It doesn't make any sense that the colors would change though. all I'd have to do is adjust the color setting in game and then export it and tweak the hue and transparency in an editor. I have a sneaking feeling that it will be harder than it sounds. My graphics card times out when trying to export large textures and so crashes the program. I would need to edit the registry to overcome that limitation. You could also create a dust cloud texture and use it as a separate cloud layer to give Mars the two distinct types of clouds that it has in real life (obviously you could not use procedural clouds with this method, but there are other ways that you could if you wanted). Do you export the script and use that in your catalog file? Yes but I don't put all the entries into the file. The problem is probably the discrepancy in sea level between the two worlds. I have tried making it high but until I put it higher than the clouds, on the desert world, I can't see it besides in lowlands. It doesn't make any sense that the colors would change though. I think there is something I am doing that makes the 2 planet settings very different. I didn't know that but now that I do I'll try it eventually. That doesn't work with procedural or two separated custom cloud textures. I either end up with a dust layer and low res cloud blotches or an opaque Mars. Final Style = Style + waterStyle / 3.0, i.e. if you want to have a red planet with green oceans, you should use Style = 0.667 + 0.5 / 3.0 + 0.05 = 0.8833 (the 0.05 added to ensure you cross the subzone boundary). If you don't like this colors, you always may use colorLowPlants and colorUpPlants in th script. I'm having a problem making planets and I'm not sure what I'm doing wrong, this is the code I have used. 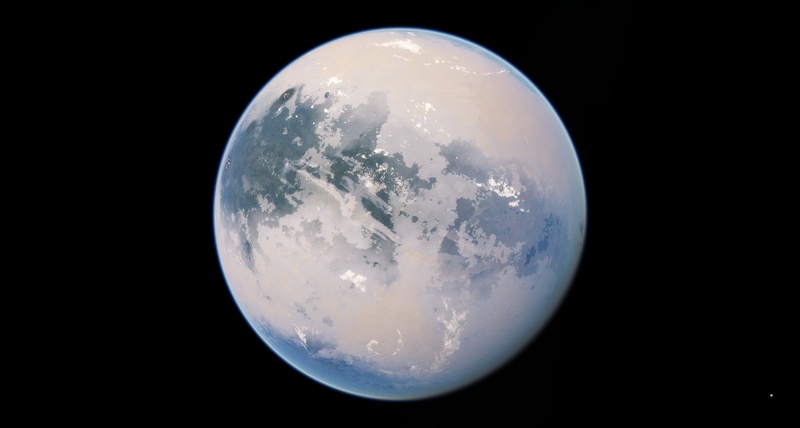 The planet is the right type and has the correct orbit but for some reason every planet I add has an atmosphere even though I haven't specified one. What am I doing wrong?